For the past two years that I have had my iPhone there was free wi-fi at work. Now there isn't . This means that when I am bored at work and troll facebook on my phone it will be part of my data usage plan. I think its a great way to unplug people from their cell phones at work. Lest you think I am giving the powers that be credit, this is not why they did this. There were other reasons. People will go back to texting in abandon when they are bored. I won't be texting more. Though I am a texter I am not part of Generation Text. It is so easy to to get addicted to checking your smart phone at work. Its the high-tech evolution of passing notes in class only more sneaky. Its so smooth to furtively glance at my phone when there are brief moments of downtime. Its so quiet . I don't think it will make me more productive at work, maybe just more bored or more chatty when there is a lull. Constant checking of my phone during the day makes it harder to go long stretches without checking it and I recognize that this is not healthy . Its good to be a little bored. Boredom inspires me to find real things to do with free time . One thing that really bothers me is intermarriage. Now that being Jewish in America is so accepted intermarriage has risen astronomically. It is just so sad. I watch the show New Girl. Granted its not the barometer of the American population but there is one character named Schmidt who is Jewish and is always mentioning his Jewishness in almost every episode. In a Halloween episode he mentioned he has his Halloween costume and two costumes for Purim. In another episode he speaks about his zaidy .When he was at a wedding he started commenting about how nice an affair his bar mitzvah was. On the other hand he dates women of every religion. Judaism is "cool" but the idea of dating Jewish is a non-issue. 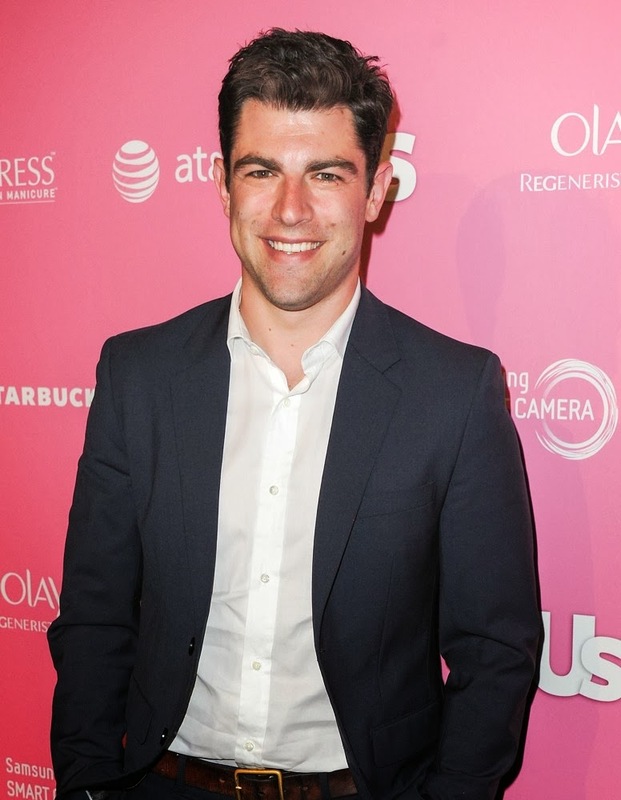 The actor who plays Schmidt is originally from Dobbs Ferry , New York and has a non-Jewish wife and one daughter. With all of the Jew talk on New Girl I wonder how okay Greenfield is with his Judaism or if since he is employed its cool with him. It would have been much cooler if in his bio I would have seen that he was married to a Jewish woman. Two Jewish actresses who are comfortable with their Judaism - Mayim Bialik and Natalie Portman did not manage to marry men who were born Jewish . Mayim's husband converted and I hear that Natalie's is planning on converting. This is still positive because no matter how kosher or not the conversions were or are their kids are really Jewish and its better they have only one religion in their household. Intermarriage begins the elimination of the Jewish people. The first generation may remain Jewish even if they are halachic Jews. After that perhaps not . If one's parent intermarried why shouldn't they? It is all very sad. Too bad persecution often has a way of keeping Jewish identity better than peace. May that bad cycle change in our lifetime. It was another lovely morning aboard the Q train. A mentally ill man appeared in my car when we were going over the bridge. At some point he was talking to himself so intently it seemed as though he was on a cellphone. This always happens when I have a good seat. I was ok until he stood near me and was pursing his lips and clearing his throat in a manner that seemed to signify he was about to spit. He did this several times and at some point I thought something wet eminated . I quickly switched seats. TGIF. This is amazing. I think this video speaks for itself. A friend of mine posted this on Facebook. Its interesting. There is some kind of study that proves that Ashkenazi Jews have higher IQ's than other people. Part of this is due to nurturing. We are a people who are brought up to value knowledge and study. This study claims that Ashkenazi Jews inherently have higher IQ's. One question stands out in my mind. Is this good for the Jews or bad for the Jews? One of the most enjoyable parts of Facebook is catching up with old friends. One of the most disturbing parts of Facebook is seeing how badly some of my friends have aged. I recently looked up my best friend from nursery school on Facebook. Bad move. She looks really old. Mind you I haven't seen her that much since I was about six, but still. There are no two ways about it . She has aged. Granted so have I , but I don't look as old as she does. Maybe its best to have my Peter Pan syndrome shaken but its still. downright depressing. Sometimes its best to leave well enough alone. I'd rather remember some people as they were and not as they are now. Granted , one has no control over who one might run into in person or who one will see a picture of in the newspaper, but Facebook and the internet in general make it more previlent. Sometimes technology isn't better. Whenever I think of my mom in my mind's eye she is always forty-something . I know how old she is now but in my mind's-eye she's always about forty.Maybe its because I don't see her so often. But I don't think so. When my grandparents were alive I thought their looks never changed. I have a friend who has permanent injuries from an accident. The funny thing is that I forget about them until another friend meets her and uncomfortably asks me what happened to her. Its not that I don't notice her injuries its just that I forget they are there. When one first gets to know someone all one sees is their physical appearance. Once you really know someone all you see is who they are. Is complaining a good thing or a bad thing? I say its a good thing . If you really feel kvetchy about something its good to complain about it. If you complain it might lead you to a solution . If you hold things in it does not mean you aren't a complainer it just means you are holding in your feelings. I suppose constant kvetching can be grating if the complaining is simply wallowing. I used to roll my eyes when people would tell me that gloomy skies would effect their moods. After all , I am the sort of woman who can't open her eyes outside unless they are shielded with sunglasses. The past few Sundays New York has been floating with rain. Finally today was a dry sunny day. I feel so much brighter. I guess the degree of sunshine effects me after all. Thursday night at the Jewish Film Festival in New York I saw the documentary WHEN JEWS WERE FUNNY , a documentary by Alan Zwieg. It was not at all what I was expecting . I loved it. I had thought it would be like the film WHEN COMEDY WENT TO SCHOOL WCWS is more of a retrospective. WJWF reads more like a senior thesis. Both are enjoyable . I am fortunate to have seen both. WJWF begins with Zweig asking old time Jewish comics such as Shelley Berman, Shecky Greene, Jack Carter what it was like for them to be Jewish comedians. The funniest part is that they said that they did not think of themselves as Jewish comedians. I'm quite sure my grandparents or any Jewish person of their generation would disagree. For that matter I am sure that any gentile of that generation would disagree. Throughout the film Zweig tries to get them to admit that part of why they were funny was because they are Jewish. Zweig the filmmaker is married to a gentile and has a 2 year old daughter .When people have children is often the time when people are forced to evaluate their relationship with religion and what they would like to impart to their children. This seems to be part of why he created this film. It is interesting to see the various comedians discuss their connections to Judaism. The older comedians seemed to want to admit to their Jewish roots affected their comedy less than the younger ones though the older ones grew up with Eastern European parents, with Yiddish and in mostly Jewish neighborhoods. Then again, the older comedians had to deal with a lot more anti-semitism than the younger ones did. I enjoyed listening to comedian David Brenner speak of his father. Apparently his father had wanted to be a comedian, but his father's rabbi urged him not to . It was not a profession where one could maintain Jewish observances. His father did teach his son how to find humor in everything because he believed that there is something funny in every situation. Gilbert Gottfried, Judy Gold, Cory Kahaney, Marc Maron and Howie Mandel were some of the younger comedians interviewed. Howie Mandel asserted that there will always be Jewish comedians, but society changes and the humor of current Jewish comedians has evolved as well. I agree. The younger Jewish comedians are still very Jewish, but they grew up in different worlds than the older comedians so their comedy is different. They still are funny comedians because they are Jewish. Zweig also found older Jewish people when he grew up to be funny.Perhaps they were funny because they were often immigrants. Like all of us who have lost relatives, he misses those who have passed from the previous generation, He misses their humor, he misses their sensibilities. I think that there will always be Jewish comedians because Jewish people have a different way of looking at things due to our religious and cultural upbringing. Comedy is one of the few fields where the most secular Jew will explore their Jewishness on stage. From all of the comedy podcasts I have listened to of late I have gleaned that the best comedy comes from the essence of the comic. This is why I agree that comedy is intrinsically Jewish . Comedy examines life , the Torah forces us to examine life. Some of the funniest comedy is served up in this film. It is quite an experience. It will be on netflix in April. I included a Q&A with Alan Zweig that I found on you tube in my previous post . Ever go out on a date with an arguer? Unfortunately I have. You know the type. You go out with someone and all you do is bicker. When you get home all you can think is how great that fiasco is over. A few days later he calls and asks you out again. This always used to floor me until I realized that there are some people who love to argue so much that they consider it a vital part of their relationships. Its not that I never argue. I do. Its just that I don't like to constantly bicker with someone. I have endured Shabbos lunches with whole families of arguers. I can feel my blood pressure rising all the way til desert. Life has enough strife. No need to add to it by inviting an arguer into my life. Put oatmeal in a bowl, , mash banana and mix it with the oatmeal. Once it is mixed well add a shake of cinnamon and a shake of nutmeg as well as the chocolate chips. Mix well. Using a teaspoon to form cookies onto a cookie sheet that was sprayed generously with cooking spray . Its important to grease up the pan well so the cookies don't stick. Bake in oven at 350 degrees for 15 minutes. Cool before eating. Yields about 10 cookies . Yum! I can't believe it. I have been blogging for 6 years . I started writing this blog on January 1, 2008. A lot has happened since then. Its been an incredible journey. Here's to the future and more writing. Happy 2014! I thought I would add a few more words off the sidewalk. I hope you enjoy them. I think that they help make the world a little smaller and a lot more hopeful. Happy and healthy 2014 to all . I was wandering around Union Square this evening and noticed that people etched their thoughts on the the sidewalk. I thought I would share them with you. As they say, the writing is on the ....cement, I think that you will be relieved to see that this random batch of New Yorkers are hopeful about the future .